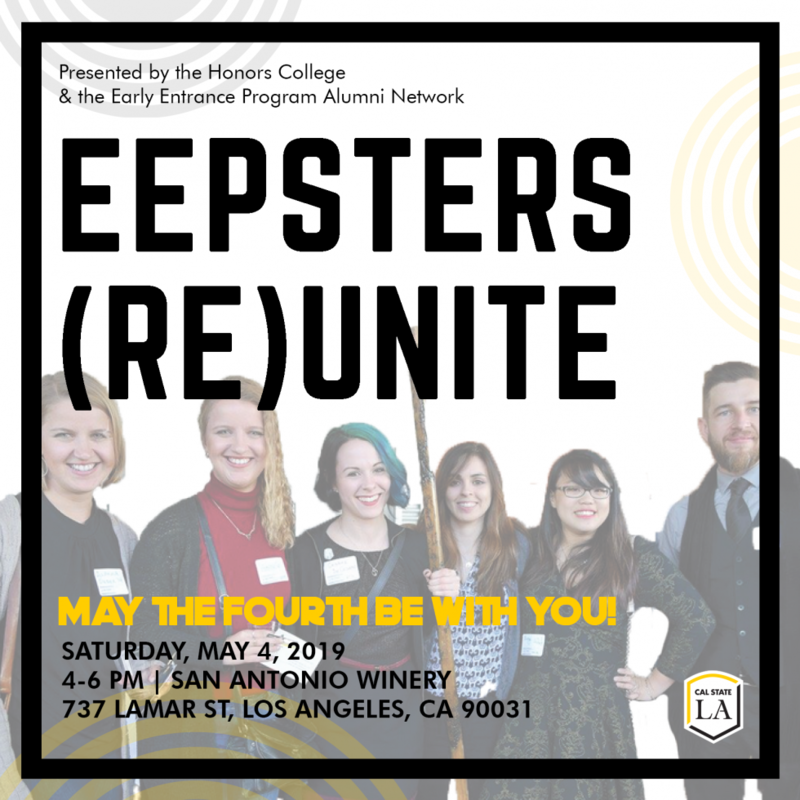 The Honors College and the Early Entrance Program Alumni Network (EEPAN) invite EEP alumni to a reception at San Antonio Winery. We are currently adding more of our exciting activities to the calendar. To receive event updates and exclusive invitations, please update your free alumni membership to ensure we have your most up-to-date contact information. For questions about our events, please call us at (323) 343-2586 or email at alum@calstatela.edu.